Cream together softened cream cheese, cocoa powder, vanilla, and stevia. Set aside. Whip cream until soft peaks form. Fold in cream cheese mixture until smooth. (I actually throw all ingredients together in my BlendTec and let it do all the work of whipping and blending at the same time.) Spread mixture over cooled Shortbread Crust. Cover and chill for about two hours until set. Makes about 18 servings. 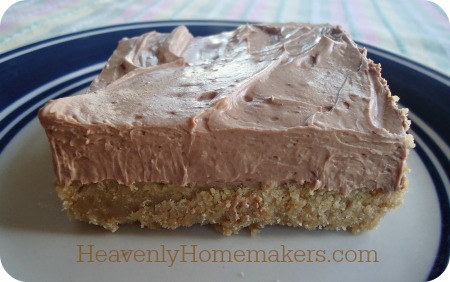 I just made a variation of your chocolate cheesecake pie last night for dessert and I can attest that it *can* be a little easier :) My husband needs to be gluten free and I did not have time to make a gluten free crust, so, after whipping up the filling I just plopped it into dessert cups. Easy and good! Do you have a basic bread recipe (like for sandwich bread) that uses freshly ground flour? How much is 30 to 40 drops of stevia? I am wondering if I could use honey or maple syrup instead. The recipe Laura posted last year uses sucanat as the sweetener. A half cup, if I’m not mistaken (so a full cup for this recipe). I don’t see why you couldn’t use honey or maple syrup, though I would start with less (maybe a half cup) and go from there, but I tend to not like overly sweet. What if you can’t have chocolate , what can you substitute for the cocoa powder ? 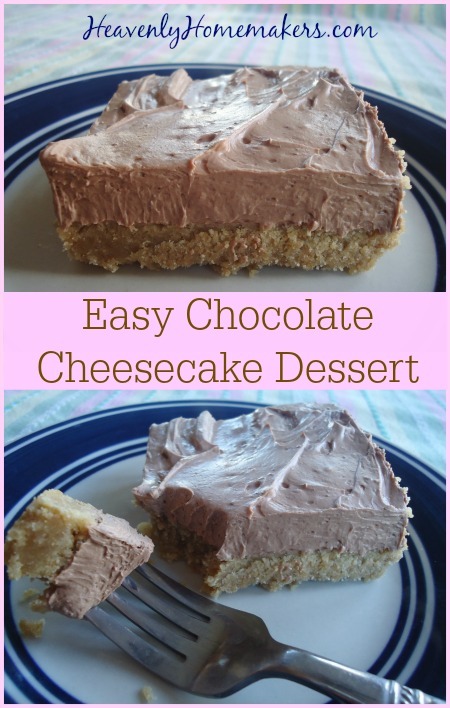 Made this tonight with a shortcake crust that I’d stashed in the freezer. So, so yummy! Two modifications that worked out: I used light cream cheese and I only put in a half cup of sugar to lower the sugar spike. We have raw heavy cream (and is really high in fat) so I used the lower fat cream cheese to approximate the creaminess of the original recipe.